This makes no sense to us. Anfield Press on Twitter are claiming that scouts from Liverpool will watch Ciro Immobile at the weekend, with a view to a potential transfer. TRANSFER NEWS – Liverpool have sent a scout out to Italy to watch Ciro Immobile play for Lazio against Napoli on Sunday. But Immobile already played (and flopped) for Jurgen Klopp at Borussia Dortmund, so why would he need scouts to take a look at the forward?! Dortmund signed the Italian in 2014/15, but he scored just three Bundesliga goals in 24 appearances before he was shipped out to Sevilla. 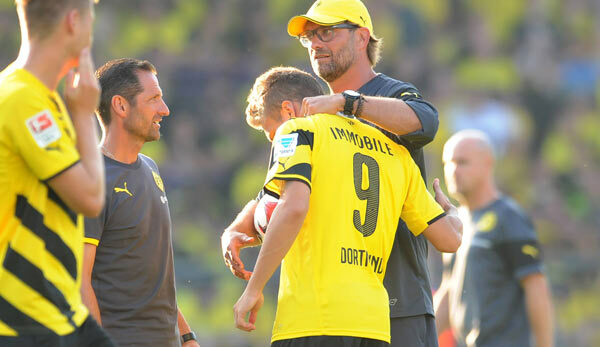 At the time, Immobile was the most expensive player Klopp had ever signed, and the forward let him down badly – so there’s no way he’ll give him another chance at Anfield! We probably will need a new striker in the summer, but it won’t be anybody the manager has worked with previously. His track record proves he doesn’t like hooking up with exes, which is why he turned down chances to bid for Pierre-Emerick Aubameyang and Henrikh Mkhitaryan before they joined the Premier League.